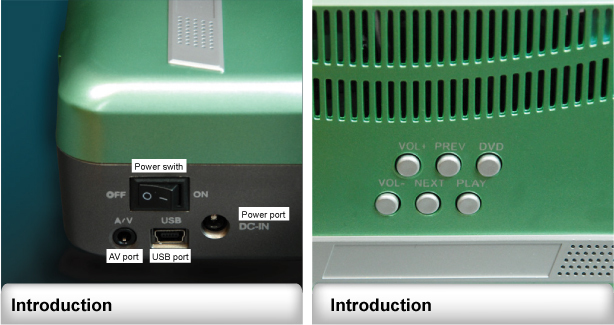 PAL / NTSC AVi compatible support DVD player, embedded 2W x 2 speakers. 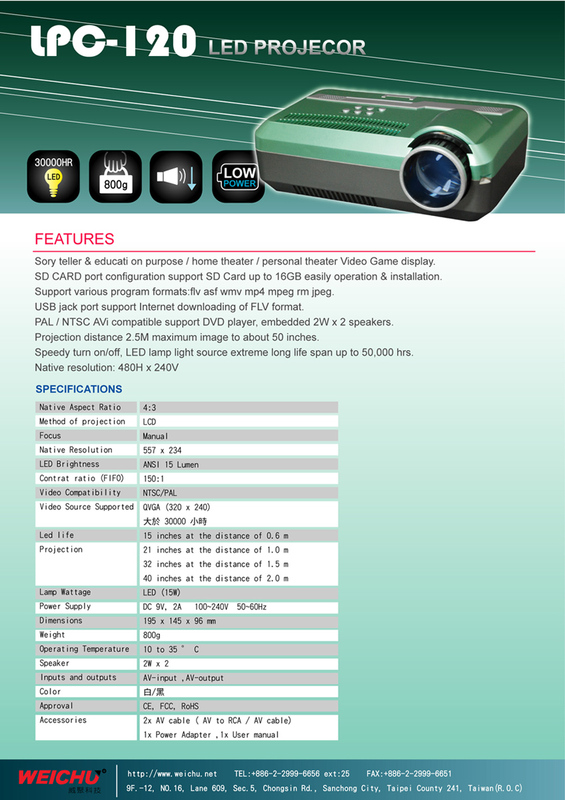 Projection distance 2.5M maximum image to about 50 inches. 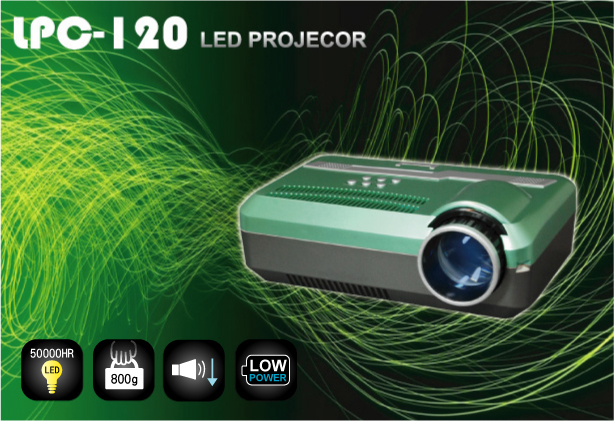 Speedy turn on/off, LED lamp light source extreme long life span up to 50,000 hrs.